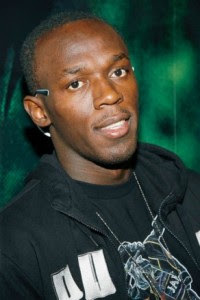 NEW YORK: In a bid to remain viable in the recession, PepsiCo Inc. has sought and gotten the input of track & field king Usain Bolt’s input to revamp their struggling Gatorade brand. PepsiCo, in a statement on Tuesday, said they would next spring launch the “G Series,” which was developed with the input of two of the world’s most famous athletes – Bolt, the World and Olympics sprint double champion, and tennis star Serena Williams. The company said they will invest $30 million into their Gatorade brand, which is feeling the pinch during the recession. They plan to replace high fructose corn syrup in all Gatorade products with sugar and other sweeteners next year. New products will include Gatorade Prime, to be used before exercise, and Gatorade Perform, to be used as a post-exercise recovery drink. Gatorade products sales volume fell by 14 per cent because people switch to less expensive products like water.